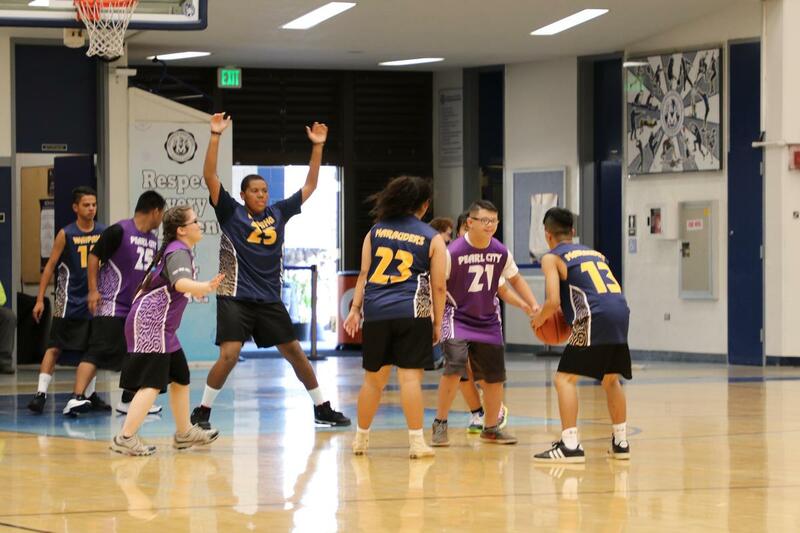 Update 4/15/19: Waipahu High finished off the Friday Night Prime Time basketball season undefeated after beating Moanalua High on Friday night and McKinley High on Saturday. 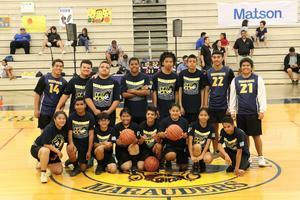 Mahalo to all of the supporters that came out and cheered, danced and had a good time watching our Marauders. See you next season. 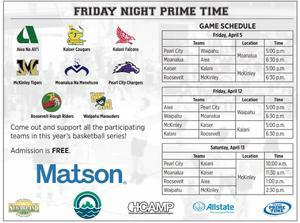 Friday Night Prime Time Basketball will be played at Waipahu High this Friday April 12 in the school gym. The first game starts at 5 pm as Aiea High will take on Pearl City High. In the second game at 6:30, the Waipahu Marauders will take on Moanalua High. On Saturday April 13th, the Marauders will play its next game vs McKinley at 2:30 pm at Mckinley High School. There is no admission and you are encouraged to come and cheer on your school. 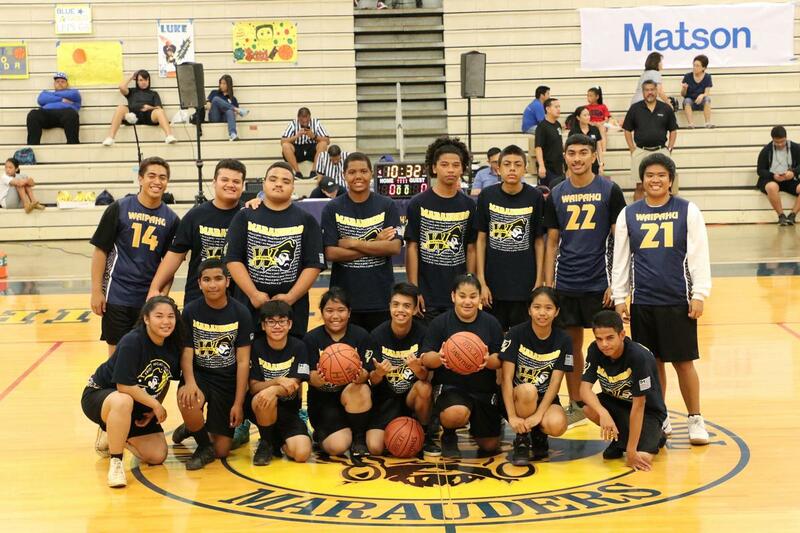 Waipahu High won its first game last week vs Pearl City High. Supported by the school cheerleading squad, the Marauders showcased their skills and pulled away from the Chargers late in the fourth quarter to win the game that was close for the first three quarters. After the game, players and coaches were given leis by the baseball team to cap off their win. 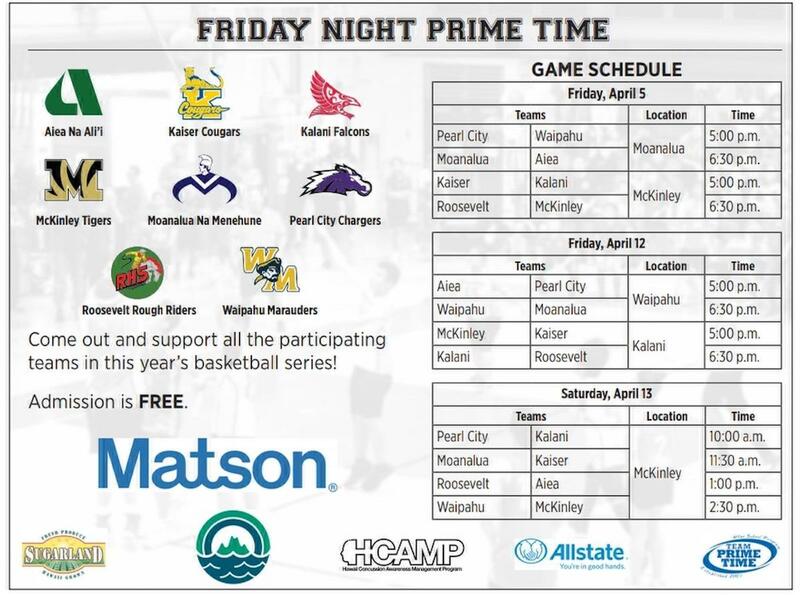 Friday Night Prime Time Basketball is in its fourth year and is coordinated by Dr. Nathan Murata, Dean of the College of Education at the University of Hawaii at Manoa. Eight teams are participating this year and are made up of students with special needs and their mentors. The overall goal is to give students a chance to don a school uniform and represent their school in an interscholastic competition. With the support of various businesses and volunteers, the games provide the chance for these students to play against other schools. Come out and cheer on all of the athletes. See you there!